A special Early Bird offer is flying right now. Catch this offer before it flies off on the 15th of July 2018. 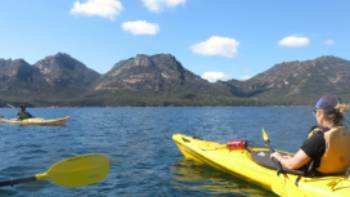 Save up to 15%* on a Tasmanian Expeditions holiday. Book your next Tasmanian adventure to save 15%* on the second traveller or 7.5%* if you are travelling solo. Offer is for new bookings departing until 30 June 2019. Quote promo code: TASEXEARLYBIRD18. Tasmania is an amazing destination with diverse experiences and landscapes to be discovered. Head out to the east coast to explore the Freycinet Peninsula and walk along Wineglass Bay - Australia's top #13 best beach as recently awarded in conjunction with Tourism Australia. Venture south to trek the South Coast Track in Tasmania’s remote wilderness. 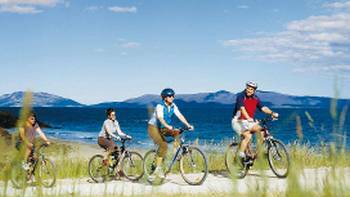 Hop on a bicycle and ride through quaint fishing villages and sample the delicious delights from Hobart to Launceston. 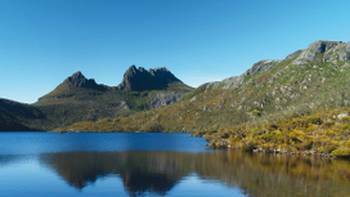 Trek into the beautiful north west World Heritage Listed national parks and the iconic Cradle Mountain. 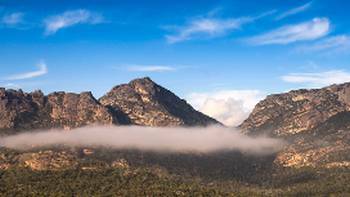 Get a bird's eye view from the top of Tasmania's majestic mountain ranges in the Walls of Jerusalem. With so many experiences on offer, now is the best time to plan and book your next Tasmanian holiday with a great saving. Don’t let the bird fly off with your special offer. Enjoy 6 days exploring the breathtaking rugged beauty off the coast of Tasmania on Flinders Island. - Applies to all Tasmanian multi day trips except Cradle Huts Overland Track, The Maria Island Walk, Bay of Fires Lodge Walk, Tarkine Rainforest Walk, Bruny Island Long Weekend, Port Davey Kayak and Freycinet Experience Walk. 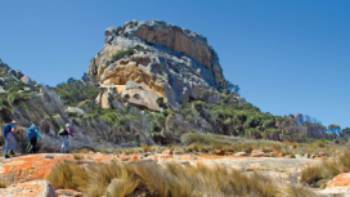 - Valid for new bookings made between 08 June –15 July 2018 for trips departing before 30 June 2019. - The offer is book a trip and get 15% off the second travellers base land tour price, or 7.5% for single travellers. - Discount applicable to base tour price only and will not be applied to seasonal surcharges or supplements which will be isolated from the base price when applying the discount. 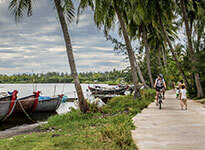 - Offer does not apply to private groups or specially escorted tours. - Offer is for direct bookings only and is subject to trip availability and trip minimum numbers being met. - Offer is not redeemable for cash. - To redeem, quote promo code TASEXEARLYBIRD18 on your (online or paper) booking form.